Kdan Mobile is set to release PDF Reader 6 Premium for Apple’s iOS, the most recent generation of the company’s flagship PDF Reader app. Compatible with the latest Apple’s mobile operation system, iOS 8, PDF Reader 6 Premium features a stunning new user interface, and key upgrades and additions such as such as iCloud Drive, Touch ID, auto rectangle detection, and photo sharing extension. Software developer Kdan Mobile is set to release PDF Reader 6 Premium, the latest generation of the company’s flagship PDF Reader app. Compatible with the latest Apple’s mobile operation system, iOS 8, PDF Reader 6 Premium features a stunning new user interface, and key upgrades and additions such as such as iCloud Drive, Touch ID, auto rectangle detection, and photo sharing extension. 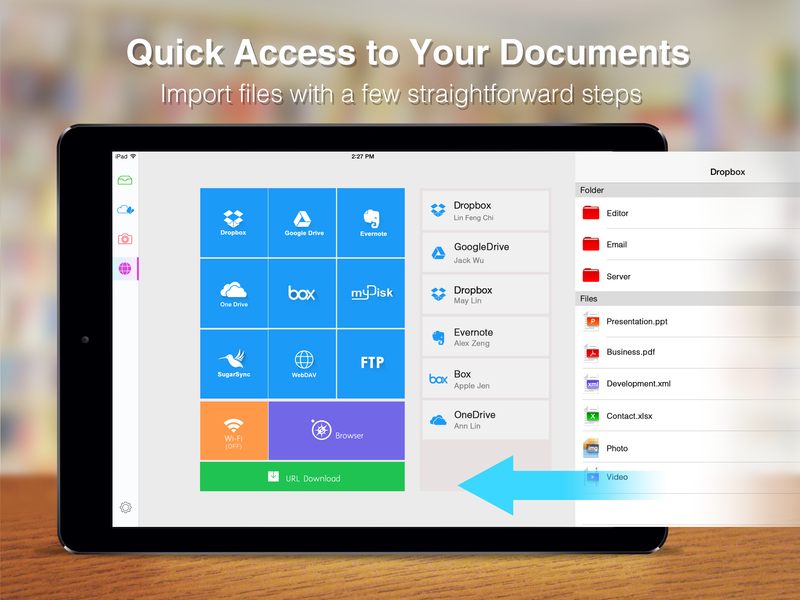 Also, in a move much anticipated by users, this latest version of PDF Reader is specially designed as a universal app, so that with one purchase PDF Reader 6 Premium can be downloaded to both iPad and iPhone. With added features and expanded compatibility, Kdan Mobile expects PDF Reader 6 Premium to reinforce PDF Reader’s position as one of the most downloaded PDF reader apps in the world. PDF Reader 6 Premium is the most comprehensive version to date of an app that has been downloaded over 20 million times. Taking full advantage of the iOS 8 operating system, PDF Reader 6 Premium comes complete with cutting-edge features such as auto rectangle detection, which facilitates the automatic recognition and extraction of rectangle objects in scanned images, resulting in more accurate scanning of desired objects. In addition, a key photo sharing extension lets users import images from Photo Library or transform images to one PDF. To enhance accessibility, the iCloud Drive and Document Picker provide a quick access to store and share documents between apps. Finally, security is also taken to new heights in this latest version of PDF Reader, as Touch ID allows users to lock and unlock private folders. The team at Kdan also responded to users’ popular requests to make PDF Reader 6 Premium a universal app. 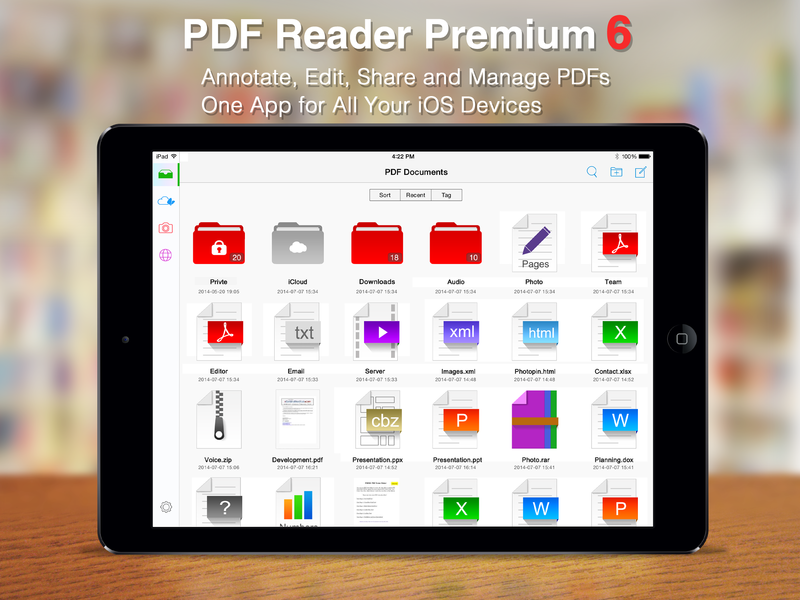 Users only have to make one purchase to enjoy PDF Reader 6 Premium on both their iPhone and iPad. According to CEO Kenny Su, Kdan strives to provide users with a complete set of creative content creation tools available across multiple devices. As Su described, this latest innovation is yet another way in which Kdan products bring value and convenience to users. PDF Reader 6 Premium will be available on Apple’s App Store for $1.99.